As of Sunday morning, the Camp Fire, California's deadliest wildfire to date, was officially declared contained within 153,336 acres, according to the California Department of Forestry. California isn't out of the woods yet, however. Thousands of displaced people are packed into emergency shelters, hotels, and campsites, still uncertain of whether or not they have homes to return to. The wildfire began on November 8th in a rural area before consuming the town of Paradise and razing neighboring communities. At least 85 people have been killed with hundreds more listed as missing. Nearly 19,000 buildings, mostly homes, have been absolutely destroyed. The first winter storm to hit the state this year gave firefighters a much-needed leg-up in battling the blaze. About 7 inches of rain fell over the burn area for three days. It was already a miracle that the storm didn't cause major mudslides, but it also helped to extinguish hot spots and enable responders to search for additional victims more quickly and safely. 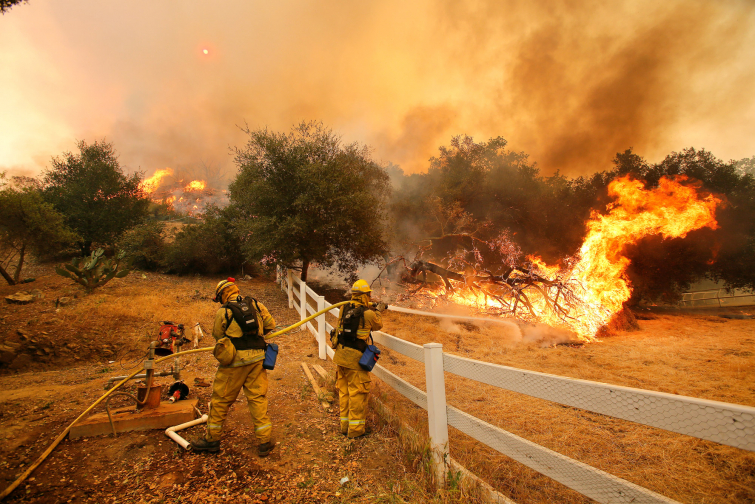 Please continue to pray for California as they continue the arduous processes of sifting through muddy ash for yet uncounted victims of the blaze and rebuilding or replacing the burnt shells of homes and structures.